Learning to swim is a key skill for life, and once learnt it is never forgotten. Our Aquastar Swimming lessons have been running successfully for over 13 years and have taught thousands of children the skills required to be confident, competent and safe in the water. All our Lessons are taken by ASA qualified teachers and run alongside the National Plan for Teaching Swimming. More information of which can be found at www.britishswimming.org. Swimming lessons at Teme Leisure start right at the beginning with our Aquababies Class which is for babies 4 months+ and a parent. Then moving onto our Aquatots Classes which is for 3-4yr olds who learn to come without a parent then lastly onto our Aquastar 1-6 levels where they go from taking their first few strokes to swimming up to 1 Mile. Click each level below to see where your child would start with us, alternatively complete an enquiry form where we will be happy to assist you and get your child enrolled. Track your childs progress online in our Aquastar Swimming Lessons at Teme Ldudlow with our new HomePortal. Lessons are 30mins long except for Aquastar 6 lessons which are 45mins or 60mins. Our Courses run alongside School Term Time Dates. Lessons do not run during school holidays. Payment is required 7 days before the start date and is payable per term. Term cost vary dependent on how many weeks are in that term. For more information, prices or to enrol your child please contact your local centre or complete the contact form. Click each level below to see where your child would start with us and more information specific to that level. Alternatively complete an enquiry form where we will be happy to assist you and get your child enrolled. Join our qualified ASA instructor in an informal drop in session where they will help you build your child’s confidence and basic aquatic skills through play. 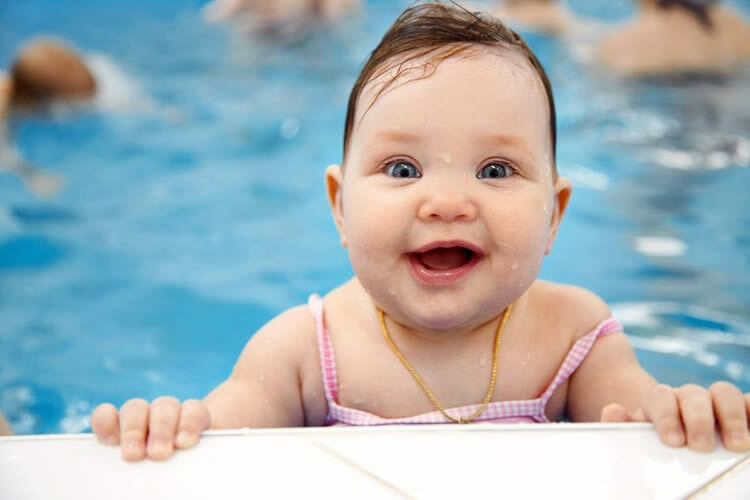 Aquababies which is held at Teme Ludlow only is a alternative, fun, innovative and effective programme for introducing adults with babies or very young children to the exciting world of Swimming. Held in the Diving Pit at Teme Ludlow with the water depth set at 0.6 - 0.8meters these 30 minute sessions are structured and cater for young children starting early. 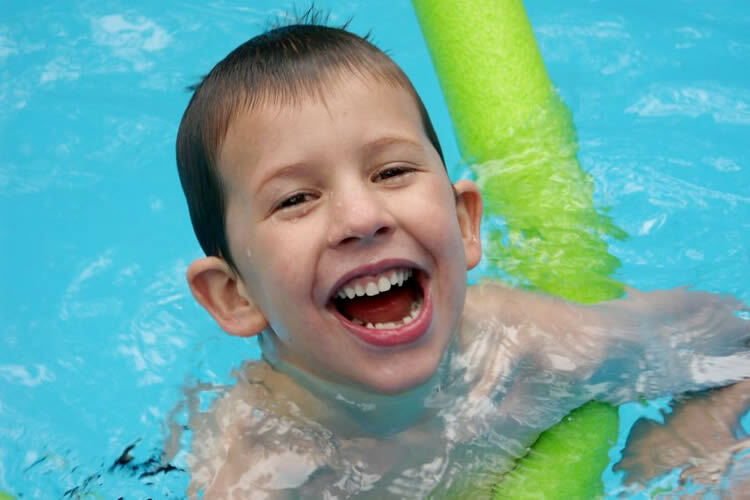 Your child will be introduced to the first steps of swimming mainly taught by play. Awards at this level include Ducklings 1-4. Aquatots Classes will have a maximum of 10 Children per class with 3 Swimming Teachers. This is where the first strokes are taken to becoming a swimmer. They will develop basic safety awareness, movement skills and water confidence. Main awards at this level include National Stages 1 & 2, 5m & 10m distance badges. Basics of all four competitive strokes will be taught in this group. An understanding of buoyancy, rotation skills and water safety knowledge will also be reinforced. Swimmers must be able to swim 10m Front and Back unaided. Main awards at this level include National Stages 3 and up to 50m distance badges. The focus at this level is improving stroke technique using the ASA guidelines. An emphasis on streamlining, breathing control, treading water and sculling. Awards at this level include National Stage 4 and up to 100m. Developing effective swimming skills, including coordinated breathing, developing the water safety aspects and understanding preparation of exercise. Turns and dives will be introduced. Main awards at this level include National Stage 5 and up to 200m distance badges. This level will develop quality stroke technique. A wider range of aquatic disciplines will be taught including synchro and diving. Main awards at this level include National Stage 6 and distance badges over 200m.